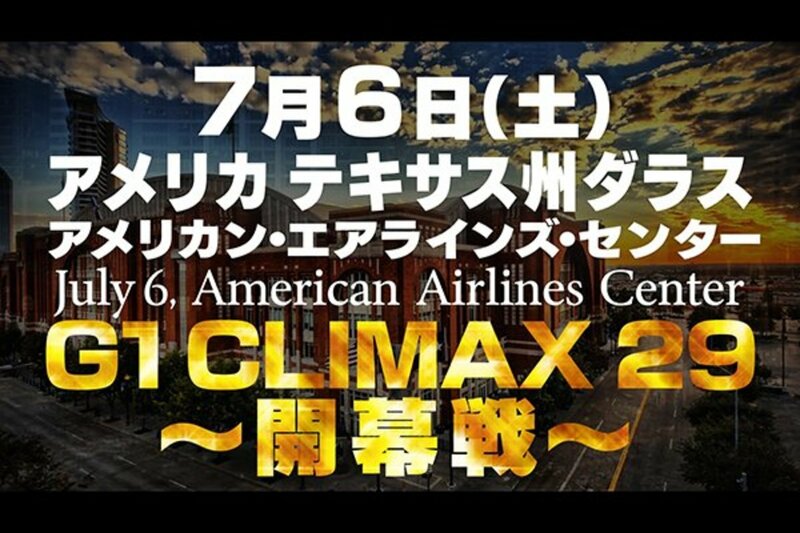 This year's G1 Climax will be kicking off in the United States. Between the Wrestle Kingdom 13 pre-show match and the start of the main card, New Japan Pro Wrestling revealed the schedule for some of their upcoming big shows. That included significant announcements concerning this year's G1, with the first show of the tournament set to take place at the American Airlines Center in Dallas, Texas on July 6. NJPW also announced some G1 dates for Japan. There will be shows in Otaku on July 13 and July 14, along with an event in Hokkaido on July 15. The tournament will again conclude with three straight nights at Budokan Hall, with those shows taking place on August 10, August 11, and August 12. Later in the Wrestle Kingdom 13 broadcast, NJPW confirmed another event for their New Beginning USA tour. The additional show will take place in Nashville, Tennessee on February 2. The other New Beginning USA tour stops are in Los Angeles, California on January 30 and Charlotte, North Carolina on February 1. Kevin Kelly noted that additional tickets for the show in Los Angeles will be made available soon. The New Beginning USA shows will feature young lions from the NJPW dojo in California and wrestlers who aren't on the New Beginning tour in Japan.